There are reason and evidence for financial markets failing to be efficient with respect to macro trends. The main reason is cost: “tradable” economic research is expensive and investment firms will only invest in such research if their fees on expected incremental portfolio returns exceed their expenses. This requires them to concentrate scarce research budgets on areas where they see apparent inefficiency and where they can trade their information advantage in size; professional macro research and macro information efficiency are mutually exclusive. Macro inefficiency is evident in the simplicity of dominant investment rules, such as trend and carry, the conspicuous absence of economic data in most strategies, and the bias of financial economics towards marketing rather than trading. Academic papers claim ample evidence of herding and sequential dissemination of information. Hence, the great incremental value of “tradable” macro research is that it turns informed macro traders into trendsetters as opposed to trend followers and enhances the social benefit of the investment industry overall. The key to such research is a solid theoretical framework, as proposed on this site. On the basis of such a solid economic and logical framework on can then apply modern statistical tools to derive robust trading factors. What is macro information efficiency? Macro information here means public information that matters for a financial asset or derivatives prices at the country, asset-class or sector level. This includes economic reports (growth, inflation and so forth), government and corporate balance sheets, financial market data, social and political developments, and even environmental and weather trends. Information efficiency of markets is generally defined as the extent to which the price of an asset reflects all information available, whereby the term “available” is open to interpretation. Efficient financial markets would produce and use macro research such that the resulting incremental investment returns and social benefits exceed costs. Why are markets not (macro) information efficient? The principal reason is cost. In the seminal article “On the Impossibility of Informationally Efficient Markets” Grossman and Stiglitz explained that since price-relevant information is costly it will only be procured to the extent that inefficient markets allow translating it into sufficient returns. As the article points out: ” The only way informed traders can earn a return on their activity of information gathering, is if they can use their information to take positions in the market which are ‘better’ than the positions of uninformed traders…Hence the assumptions that all markets, including that for information, are always in equilibrium and always perfectly arbitraged are inconsistent when arbitrage is costly” (view journal article here). The theory here shows what practitioners already know: investment in information is a complex trade-off, with no guarantee that markets set asset prices close to their fundamental value. Theoretical research shows that even traders that focus on fundamental value extraction only invest in research and information if three conditions are met. First, the information cost must not be too high. Genuine value-generating macroeconomic and financial research is demanding and expensive. Many essential areas of this research are beyond the scope of portfolio management teams, even at large institutions. First, economic data are notoriously hard to interpret and require considerable adjustments. Forecasters struggle with separating signal from noise and cannot normally update their predictions continuously. Forecasts are also not easily comparable across countries due to different convention and biases. All this gives rise to “rational information inattentiveness of markets” (view post here). There is empirical evidence of expectation stickiness that goes some way in explaining price momentum after important relevant news, such as corporate earnings releases (view post here). Even the most popular and highest-quality economic data, such as U.S. labor market reports, need in-depth research to be understood (view post here). Second, understanding and researching the relationship between economic information and asset prices requires profound experience and some econometric skill. Data science has come a long way in providing powerful tools for analysis and model construction. However, in the data-constrained macro space, the success of statistical models still hinges on good judgment and real in-depth understanding of methods, models and data, all of which remain in short supply. Most, institutional investors prefer simple relations, often condensed in the three main categories of risk premia strategies, i.e. carry, momentum, and relative value (view post here). Second, the overall market is poorly informed. This point is particularly important, because the information content of prices with respect to known fundamentals tends to grow faster than that of private research and, hence, often discourages such research (view post here). Experimental research has confirmed that traders do not invest in information if they believe that others have already researched the field well and that market prices reflect this research (view post here). For a profitable investment management business, it is crucial to invest in relevant information where or when others do not. Third, market makers must not suspect that value traders are well informed (view post here). A value trader with a reputation of being well informed is easily ‘front run’ when giving orders to market makers. Moreover, research alone does not produce efficient markets. Financial markets research translates into price information only if it is acted upon. And this action is often lacking, for various reasons. Taking positions in accordance with research is often obstructed by institutional rules and regulations. For example, many funds face limitations to leverage and short selling. For some institutions market access is limited and trading costs can be prohibitively high in some contracts. For example, in OTC markets bid-offer spreads vary across clients (view post here), making cost-efficient access dependent on business relations. Often enough investment managers simply do not fully trust their researchers, reflecting conflicts of interest. Portfolio managers sometimes denigrate research to elevate their own role in profit generation. Researchers sometimes gear their research towards company politics and reputation rather than investment value. Finally, there is evidence that financial decision-making under uncertainty is far from rational and subject to a range of behavioral biases, such as the illusion of control, anchoring bias, sunk-cost bias and gambler’s fallacy (view post here). Altogether, “obstruction to diffusion” is common and often means that relevant information and research translate into gradual price trends rather than instantaneous price adjustments (view post here). This sluggish adjustment seems to go a long way in explaining unexpected deviations of financial markets from a rational expectations equilibrium, including the many so-called ‘puzzles’ in the foreign exchange market (forthcoming post). What are the signs of macro inefficiency? Macro information inefficiency is consistent with the evident simplicity of dominant investment rules. In practice, asset allocation often just follows past performance (view post here) or simplistic highly stylized factors, such as risk parity and valuation ratios (view post here), or market capitalization and benchmark index conventions (view post here). Even active portfolio managers often find it more practical to produce “fake alpha” through receiving risk premia on exposure to non-directional conventional factors and strategies rather than to generate true investor value (view post here). Information inefficiency also explains why momentum trading has been a profitable trading strategy, even in the best researched and most liquid markets (view post here) and is widely used as trading style to protect against adverse macro trends (view post here). Moreover, there is ample evidence of herding and sequential dissemination of information in markets with great macroeconomic importance, including currencies (view post here, and here). Above all, these phenomena testify to the sluggishness of market responses to broad shifts in fundamental conditions. Experimental research has provided robust evidence for mispricing of assets relative to their fundamental values. Academic studies support a wide range of causes for such mispricing, including asset supply, peer performance pressure, overconfidence in private information (view post here), speculative overpricing, risk aversion, confusion about macroeconomic signals and – more generally – inexperience and cognitive limitations of market participants (view post here). What is the value of striving for macro efficiency? Trading towards information efficiency produces social and business value. The main social value of macro information efficiency is the alignment of prices with economic conditions. Put differently, unbeknownst to themselves macro traders guide the efficient allocation of resources across the world economy. The main business value of macro efficient trading are returns that arise from detecting misalignments and trends early before the more sluggish part of the market has caught up with the flow macro information underlying various markets. Trading based on information efficiency is often enough “trend leading” or trend-setting” as opposed to “trend following”. Macro factors make quantitative information manageable. In international macro trading there are way too many economic data series to keep track of, even for the most diligent investment manager. Selected pre-filtered macro factors effectively outsource part of the production of information to research. Macro factors support consistency. Often enough investors are myopic: they overrate that latest “fashionable” factors that happened to coincide with recent market moves, regardless of causality and long-term relations. This constitutes a form of “overfitting” of information (view post here). This “overfitting” can lead to the misinterpretation of fundamental information, a phenomenon that has been labelled “scapegoat theory” view post here. Macro factors are applicable across strategies. Detecting changes in economic growth, for example, matters for both equity and FX strategies. If returns across asset class strategies have little or now correlation (view post here on equity and FX), macro factors can become important building blocks for diversified multi-strategy portfolios. Using more than one macro factor in a single strategy is a major challenge. In dealing with different ideas or signals, investment managers veer towards “rules of thumb” of dubious origins, while academic researchers veer towards complex mathematical models. The former are evidently inefficient, while the latter are usually intractable. Hence, for practical purpose and in order to avoid the worst excesses of double-counting, mis-interpreting and forgetting information it is helpful to structure macro factors into three groups. 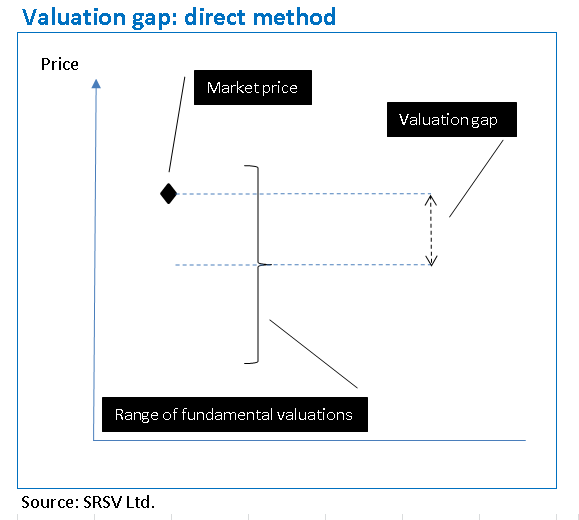 Valuation gaps are defined as differences between the market price of an asset or derivative and its estimated value. There are two basic methods of tracking valuation gaps. The first is to estimate an asset’s fundamental value directly, maybe based on discounted cash flows, and then compare it with the quoted price. 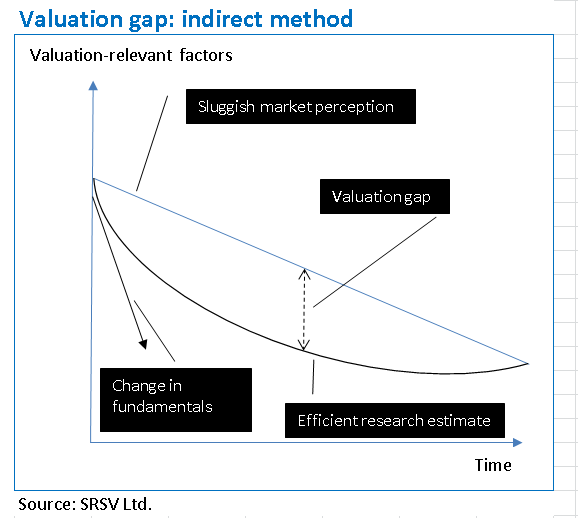 The second method works indirectly, by efficiently “nowcasting” the trend in key valuation-relevant factors and then estimating the gap between this trend and market perceptions. Implicit subsidies are defined as premia paid or discounts offered to financial investors by market participants other than those that maximize risk-adjusted returns. Typically, subsidies are paid by central banks, governments, highly-regulated institutions or non-financial institutions. 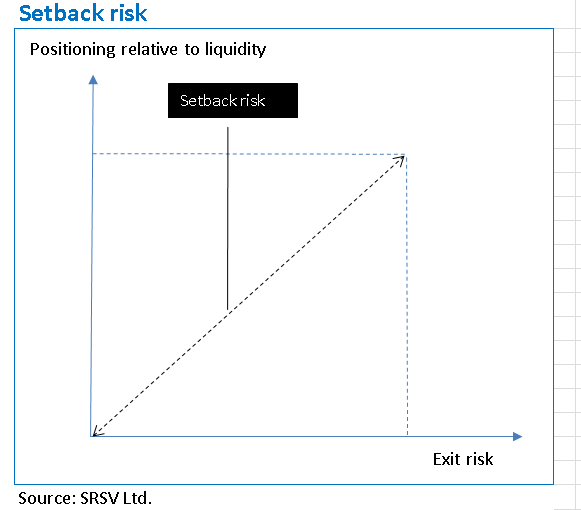 Endogenous market risk or setback risk is defined as the probability of a mark-to-market drawdown on a position for reasons that are unrelated to fundamental value. Related macro factors typically measure the positioning or “crowdedness” in a trade as well as the probability that investors will exit the trade in the near term. Importantly, these three types of indicators are complementary, not competing. Indeed, it is not wise to use them in isolation. Thus, a price-value gap often arises as consequence of implicit subsidies: the subsidized asset becomes overpriced for a reason. 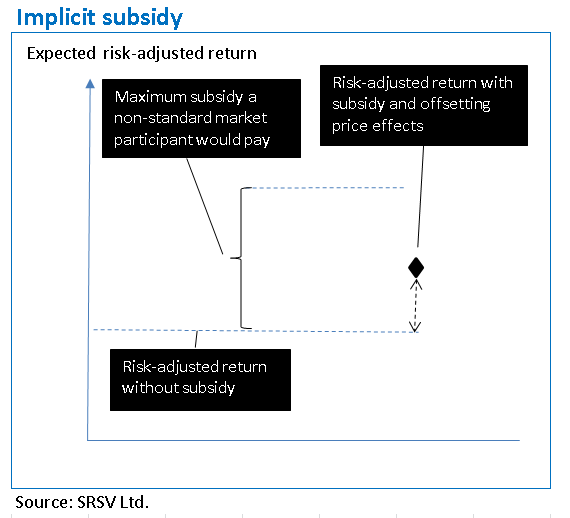 Also, typically setback risks arise alongside subsidies, causing sudden large losses to subsidy receivers. This site also presents a fourth principle of value generation, based on the research of price distortions. This principle is explained in a separate summary page (view here) because the exploitation of price distortions is not primarily an issue of macro information efficiency. Value generation based on apparent price distortions typically depends on the investor’s basic understanding of market flows, easy access to markets and funding, and freedom to operate without the constraints and conventions that trap many institutional investors. The advances in the science of “statistical learning” have enhanced researchers’ ability to work with large data sets, through use of a wide variety of methods ranging from simple regression to complex machine learning (view post here). For example, structural vector autoregression is a most practical model class that helps identifying specific market and macro shocks, with a relative small set of assumptions on market and economic structure (view post here). Machine learning partly automates the construction of forecast models through the study of data patterns, the selection of best functional form for a given level of complexity and the selection of best level of complexity for out of sample forecasting (view post here). This includes statistical methods for condensing the information value of the vast multitude of macroeconomic time series, making them more manageable for forecasting, such as Dynamic Factor Models of Sufficient Dimension Reduction (view post here). Similarly, there are regression-based variable selection tools such as “LASSO” or “Elastic Net” (view post here). Beyond mere convenience, these also allow backtests that are based on methods rather than on specific factors whose choice may be biased by historical experience. This gives us a better idea how our way of thinking about macro strategies would have translated into trading profits in the past. Modern data science offers powerful tools for backtesting trading strategies. However, its computational power and convenience can also be corrosive the investment process due to its tendency to discover temporary patterns while data samples for cross-validation are limited. Moreover, the business of algorithmic trading strategies, unfortunately, provides strong incentives for overfitting models and embellishing backtests (view post here). Similarly, academic researchers in the field of trading factors often feel compelled to resort to data mining in order to produce publishable ‘significant’ empirical findings (forthcoming post). Good backtests require sound principles and integrity (view post here). These should include  formulating a logical economic theory up front,  choosing sample data up front,  keeping the model simple and intuitive, and  limiting try-outs when testing ideas. Realistic performance expectations of trading strategies should be based on a range of plausible versions of a strategy, not an optimized one. The most important principle of all is integrity: aiming to produce good research rather than good backtests and to communicate statistical findings honestly rather than selling them.